When I was 100+ pounds overweight, I tried several diets, and I lost some weight. But, in the end, I regained all the weight back and more. Then the film (Affiliate Link) Forks over Knives struck a chord. Even though I learned new science-based concepts, deep down the research made sense. I needed to switch to a whole food plant-based diet. But how would this “diet” differ from all the others I’ve tried? This would be a big shift, but I had a bigger problem — I don’t like to cook. I would look around the kitchen and try to decide what to make. My mind was blank. My husband would come in and throw different ingredients together and his dishes always turned out delicious. But I’ve never had that kind of talent. I was impatient. If I was hungry, I went for the fast and easy boxed foods. So, I found simple easy recipes to make the transition to a vegan lifestyle a reality. I had never heard of Vegan’s. As I researched and through trial and error I found recipes that were sustainable, enjoyable and restarted my weight-loss. To this day the majority of my recipes come from the (Affiliate) Protective Diet website. 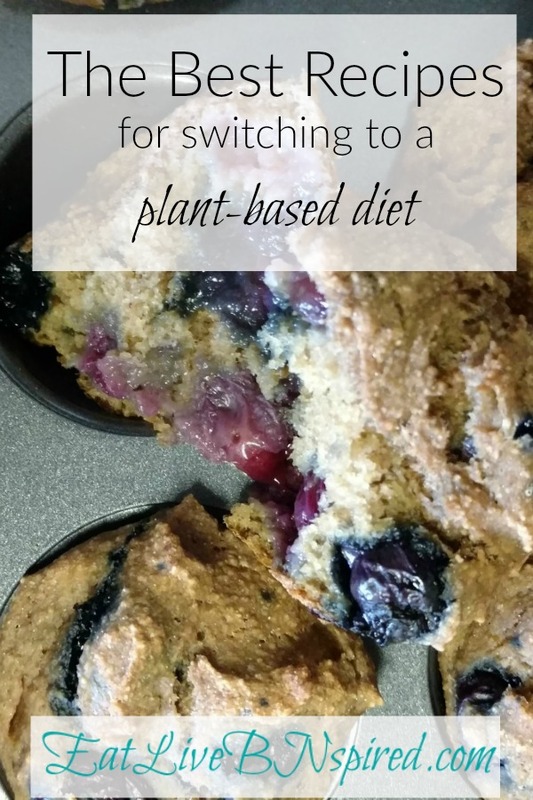 The recipes made the transition to a Plant-Based lifestyle easier. No dairy includes cheese. No oil includes olive oil. And no meat includes anything with a face. These recipes have several common ingredients. Slowly stock your pantry and have the ingredients to add all these recipes to your meal planner. My confidence grew with each recipe I cooked. But the most important part was, I didn’t hate to cook anymore. Bonus: I created a list of my most used whole food plant-based pantry items. Click here or below to receive a copy. For quick reference, recipes are divided up by meal types. Also Slow cooker & Pressure Cooker options are below. *Follow my Pinterest Board for recipes like this and more. Download my FREE Pantry Staple list. Click through to my Plant-Based Recipes for Beginners Pinterest Board where you’ll find these recipes and more. Create a meal plan board on Pinterest. Pin your selected recipes for the week. What’s your biggest struggle as you transition to a whole food plant based diet? These meals sound absolutely amazing. I love that there are things like loaded nachos and frosties. It just goes to show you can have fun with real food! I’ll definitely be trying some of these(: Especially the chia seed bean burger! Chia seed bean burger is the best. I could eat the whole batch without even cooking it. At time I’ve cooked my a little long so they crumble. No worries just crumble the burger over your salad or nachos.